After a year of OSHA’s promises that an online form for reporting work-related fatalities and severe workplace injuries was “coming soon,” the agency finally unveiled the form on its website on December 24, 2015. 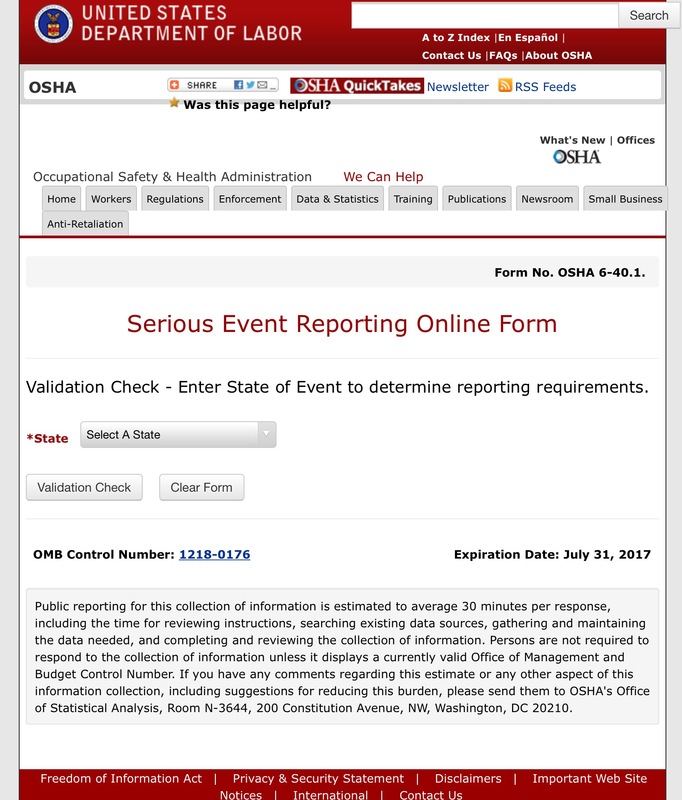 The online form is one of three options that employers can use to fulfill updated fatality and severe injury reporting requirements, which went into effect on January 1, 2015 (see related story http://www.oshalawupdate.com/2015/06/23/oshas-response-to-compliance-with-the-new-reporting-rules-and-what-it-means-to-employers/). Employers also have the options of calling the OSHA office nearest to their worksite or calling the OSHA 24-hour hotline at 1-800-321-6742 (OSHA) to make a report. 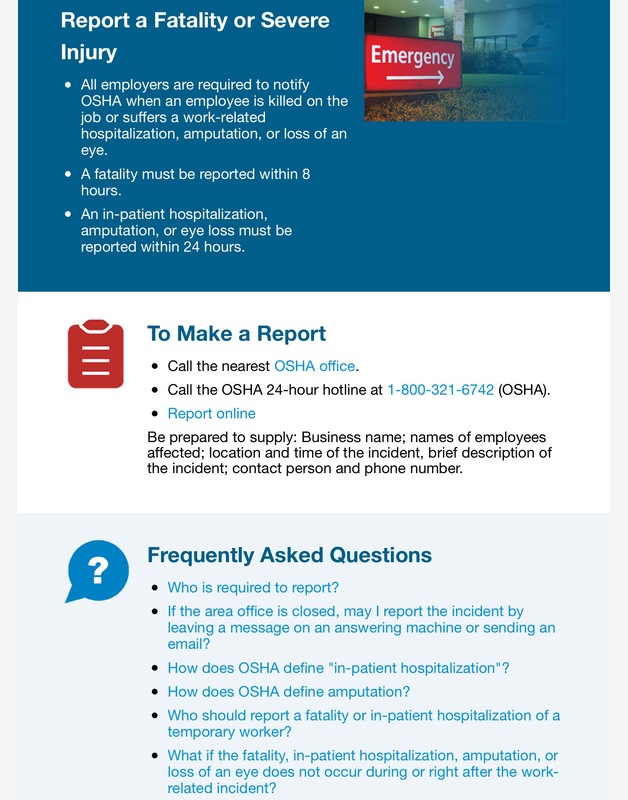 The updated reporting rule requires all employers to notify OSHA when an employee is killed on the job or suffers a work-related hospitalization, amputation, or loss of an eye. A fatality must be reported within 8 hours. An in-patient hospitalization, amputation, or eye loss must be reported within 24 hours. the identity of a contact person and their phone number.